Are dogs in shelters developing health and behavior problems because of stress? And does that make adoption more difficult and less likely for those pets? Certified veterinary behavior specialist Dr. Sheila D'Arpino has worked with shelter dogs since the 1990s, and seen the harmful effects of stress on sheltered dogs. Through her work at UC Davis, the Center for Shelter Dogs/Animal Rescue League of Boston, Maddie's Fund® and others, she's developed strategies to recognize those effects both in individual dogs and in the whole shelter population - yes, it happens! Please join Dr. D'Arpino and Maddie's Fund® for How Stress is Sabotaging Your Dog Adoption Efforts. The impact of stress on a dog's likelihood of adoption. How Stress is Sabotaging Your Dog Adoption Efforts is part of an ongoing series of educational programs from Maddie's Institute, the academic division of Maddie's Fund®, providing the most innovative animal welfare information to shelter staff, veterinarians, rescue groups and community members to increase the lifesaving of homeless dogs and cats community-wide. Dr. Sheila Segurson D'Arpino completed veterinary school and then a specialty training program in animal behavior with a focus on sheltered pets at the UC Davis School of Veterinary Medicine in 1996 and 2005, respectively. 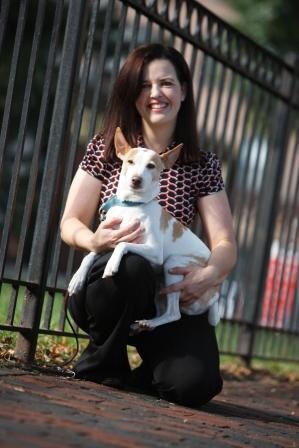 Dr. D'Arpino has worked as an emergency veterinarian, private practice veterinarian, shelter veterinarian, dog trainer, veterinary behaviorist and foster-based adoption program director.